Are your children preparing for the Virginia Standards of Learning tests, known SOL? SOL tests measure the progress of students from third grade to eighth grade, as well as high school. Virginia SOL test results provide actionable data that will help parents, teachers, and students improve academic performance in reading, math, writing, science, and history/social studies. SOLs are also used in evaluating each school’s Adequate Yearly Progress (AYP) as required by the federal No Child Left Behind Act (NCLB). Time4Learning and Time4Writing—two online services that teach many of the SOL test skills—offer this page to support your research on the best ways to help your kids with SOL practice and preparation. SOL Reading: 3rd, 4th, 5th, 6th, 7th, and 8th grades. SOL Math: 3rd, 4th, 5th, 6th, 7th, and 8th grades. SOL End-of-Course tests measure students’ understanding of course content, not grade-level skills. SOL EOC tests are given in 9th through 12th grade at the completion of various courses, including reading, writing, algebra I, algebra II, geometry, biology, chemistry, earth science, world geography, Virginia and United States history, world history I, and world history II. Achieving proficient or advanced levels is considered passing the SOL tests. Some Virginia schools use SOL results to determine grade promotion, and high school students must pass at least six SOL End-of-Course tests in order to graduate. Students who do not pass the SOL EOC exams the first time are given multiple chances to retake the test(s). If your child is struggling with SOL testing, be proactive. Contact the school and find out what you can do to support learning at home. 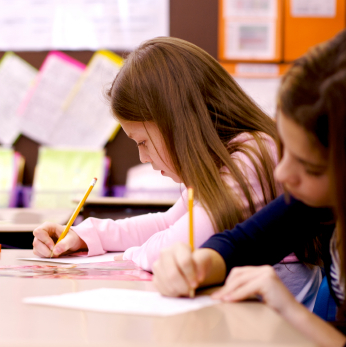 Virginia uses a balanced range of assessments to promote learning for all students. The Virginia Alternate Assessment Program (VAAP) is designed to measure the progress of students with severe cognitive disabilities. Students with disabilities who do not qualify for the VAAP, but cannot demonstrate proficiency even with accommodations, take the Virginia Grade Level Alternative Assessment (VGLA). Students capable of demonstrating proficiency, but who need special accommodations to access the SOL tests, participate in the Virginia Substitute Evaluation Program (VSEP). Students with Limited English Proficiency (LEP) take the take the ACCESS for ELLs® tests, which measure progress in English language acquisition. Virginia also participates annually in the National Assessment of Educational Progress (NAEP), known as the Nation’s Report Card, where a sampling of students (from grades 4, 8, and/or 12) are tested in several content areas as part of a nationally representative assessment of student performance. The real preparation for the SOL tests, or any standardized test, begins with your commitment to your children’s education throughout their school years. Devote time and effort to helping your children learn. Start by making sure your kids do their homework and read every day. Many families also employ tutors or an online learning program, such as Time4Learning, to build fundamental skills. Time4Writing provides highly effective, 8-week writing courses online that help elementary, middle and high school students build writing skills through one-on-one interaction with a certified teacher.